Differentiating instruction isn’t easy, but teachers and professional learning facilitators can work together to overcome the obstacles. Student voice is a hot topic in education, which makes me exceedingly happy—I’ve always thought that students were an educational stakeholder group that needed to be heard. However, as a former teacher beginning my second year as a full-time consultant working with K–12 educators on differentiating instruction, I’ve come to realize that there’s another group of stakeholders whose voices are as important as students’, if not more so: teachers. For several decades now, differentiation has been on many school districts’ lists of prioritized initiatives. The workshops I facilitate are typically not teachers’ first professional learning on differentiation. Yet differentiation is still an initiative in many districts, not a long-settled policy. Why? The answer to this question is multifaceted. The traditional A-F grading system doesn’t lend itself easily to differentiation, and tracking students undermines it. However, there’s another significant roadblock to enacting successful, sustainable differentiation initiatives: the pervasive tendency of professional learning facilitators to dismiss teacher voice. Such facilitators (whether that’s me, an administrator, an instructional coach, or a fellow teacher) are often guilty of inadvertently disregarding participants’ sentiments of struggle. We view these struggles as resistance instead of listening to what teachers say and differentiating our instruction for teachers’ needs accordingly. In my experience, most examples of teacher resistance are about valid claims, not unfounded complaints. And sometimes the struggles teachers face are with specific practices that are cornerstones of differentiation, which presents a conundrum. In an effort to help break the cycle of endless differentiation PD and find solutions for common differentiation obstacles, I’ve worked with many teachers to create work-arounds that accomplish the intended goal of the problematic practice and also respect teachers’ professionalism, as illustrated here with two examples. The plain truth: Pre-assessments can take a lot of instructional time and sometimes provide teachers with little usable data. Intended goal of pre-assessment: Teachers can use evidence from pre-assessments to plan instruction based on student need. The pre-assessment data will show teachers (among other things) which students have already mastered the material, so teachers can provide them with enrichment, which could take the form of anchor projects co-designed by the teacher and student, or challenges that allow for students to go deeper into the learning intentions by asking more complex questions. Solution: Differentiate the pre-assessment. Instead of giving all students a time-intensive, whole unit pre-assessment, begin by giving all students a quick formative assessment on the first topic covered in the unit of study. Data from this formative assessment immediately tell teachers which students may have already mastered the content for the entire unit. Then, give the full unit pre-assessment only to the small group of students who have shown that they have some mastery of the unit content. The results from this pre-assessment will tell teachers if they need to offer students enrichment on all or just some parts of the unit. For each subsequent topic in the unit, offer quick formative assessments to the students who did not show mastery on the formative assessment covering the first topic. Offer topic enrichment on these topics to students as the need appears. The plain truth: About 10 years ago, direct instruction began to get a really bad rap. Teachers were told they needed to be “the guide on the side, not the sage on the stage.” However, research indicates that direct instruction is highly effective for student learning. Intended goal of group work: Students work collaboratively to process and deepen their understanding of content. Solution: Use a hybrid of direct instruction and cooperative learning. Let’s begin by clarifying a couple of points. First, direct instruction and lecture are not synonymous. John Hattie has noted that direct instruction done correctly has a greater impact on student learning than group work done incorrectly. Direct instruction is effective when the teacher instructs in short segments, with frequent checks for understanding and opportunities for students to process, practice, and receive feedback. Second, group work and cooperative learning are not synonymous. 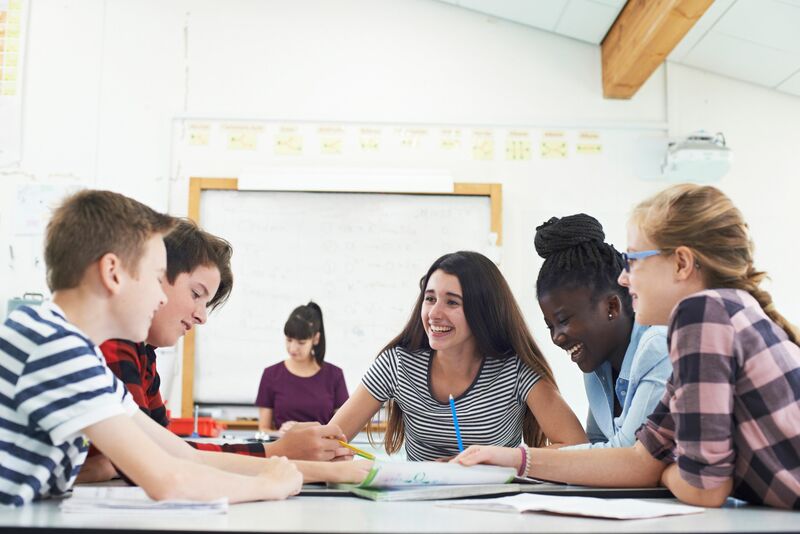 Group work is an ambiguous term that encompasses everything from students working on a project together to students sitting in a group but working individually. Cooperative learning is structured so that all group members have equal opportunities to engage in appropriately rigorous learning. Use formative assessment evidence to determine which students have mastered the material you will cover during direct instruction. Offer any qualifying students enrichment. Continue direct instruction as planned with the remainder of your students. Build in breaks in instruction (every 7–12 minutes depending on the age of your students) to check for understanding and give students an opportunity to practice and process. Incorporate cooperative learning structures like Think-Pair-Share or gallery walks during the breaks in direct instruction. All teachers want their students to succeed, and all teachers try to make this happen. That is all differentiation is. We complicate differentiation by not allowing ourselves to be provisional with how we apply the foundational pieces of differentiated instruction. Instead, if we address these four questions in our instructional planning, differentiation will always be the result: What do my students need? How do I know? What will I do to meet their needs? How do I know if what I’m doing is working?